The Corner On The Square, with its mini food hall emporium provides excellent quality food using fresh produce whenever possible within comfortable and relaxed surroundings. The varied menu caters for most dietary requirements. Corner on the Square is a licensed delicatessen and eatery situated in the heart of the unique Highland village of Beauly. Overlooking the bustling square which is a haven for the discerning food shopper. Corner on the Square enjoys a prominent position from where you can sit and relax and enjoy some of the finest Highland produce. Owned and operated by Gary and Jaqui Williamson the theme is modern with a firm belief in quality and friendliness. 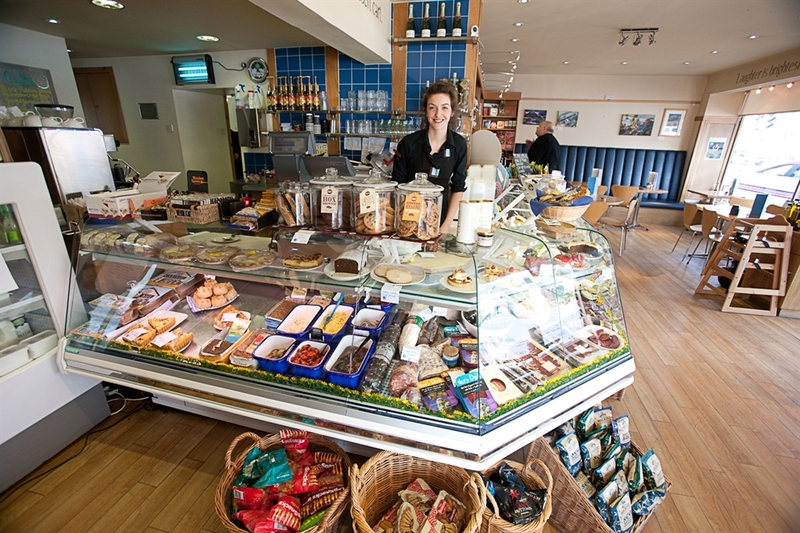 The store has a small eatery (14 covers) which serves coffees and homebakes all day and also offers a daily menu of Scottish and continental dishes. 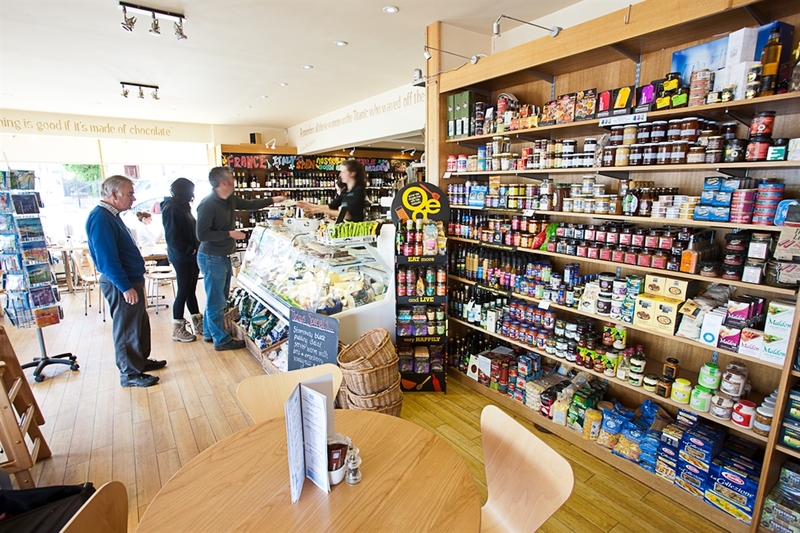 In the store there is a huge range of Cheeses,Cooked Meats,Seafood, Fine Wines and speciality foods. Gary and Jacqui are particularly keen on promoting local producers and stock a range of goods not found in larger stores or rarely under one roof. You will find offerings from local grown garlic to unpasteurised goats cheese from the west Coast and Atlantic Organic Salmon to freshly shot Haggis (with the feet removed). The atmosphere is light and friendly however the accent is on professionalism and Gary and Jacqui's team look forward to greeting you to their own brand of Highland welcome. Salar Flaky Hot Smoked Salmon served with sliced Avocado and topped with Crayfish and Sweet Chilli Sauce: "Presented in a white bowl on a white liner plate. Care was taken to arrange the tomatoes and cucumber slices around the edge, very colourful as all the ingredients were obvious." "Quality Hot Smoked Salmon used in the dish, the Crayfish were plump and moist."